It’s starting to make sense. This article from the online fitness journal Greatist asks the question Are Hot Workouts Safe? I covered this topic back in January 2012 in this post. But this topic will keep resurfacing as more and more studios adopt gimmicks that they think will set them apart and increase their popularity. Many employ these gimmicks without doing their research, and in doing so, put their students and members at risk. Facebook can be so fun sometimes! Look what someone posted on my Facebook wall. Who hasn’t seen this in their facilities? 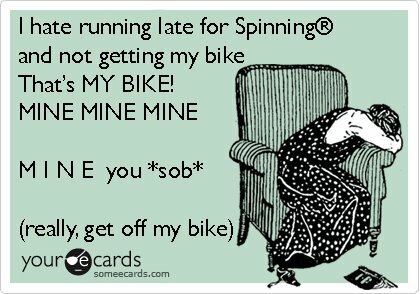 I wonder how many Spinning or cycling studios around the world will post this image in their cycling room? My Facebook page has almost 60 “shares” so far. Might it send a subtle (or not so subtle) message that this is a pretty childish way to behave? You may want to download this image and post it in your studio. Get permission first if it’s not your own studio, but I bet the owner/manager will find it humorous. Sometimes humor is a great way to get a point across without directly picking on the people who act like this. 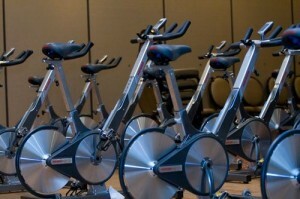 A ROCKING review of an indoor cycling studio – by a world-class Ironman triathlete! 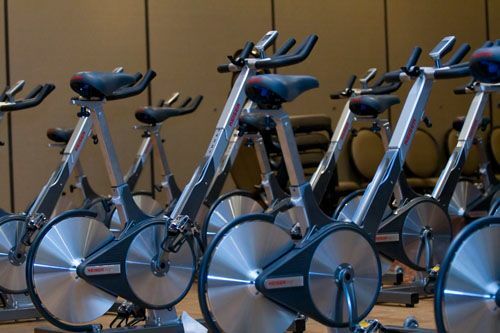 Good reviews of your indoor cycling studio are important. Excellent ones are even better. But when you get a rockin’ review from a world class triathlete (especially one who is going to race Lance Armstrong), then you’ve knocked it out of the stratosphere! If fans are an issue, why not get your own personal fan?! All of us have been in classes where some students are not happy about the location of the fans. I’ve even heard dreadful stories from instructors about actual fights over fans. I’ve never experienced that, but I have had some terse words over fans, and have tried my best to find ways to make everyone happy and avert problems. Sometimes that’s hard to do. 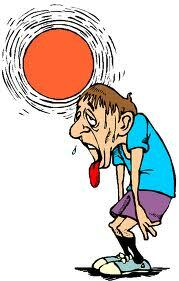 Indoor Cycling in the heat? Are you out of your mind? If Soul Cycle’s unscientific, unsafe and ineffective approach to indoor cycling classes doesn’t make you crazy enough, I present to you the next potential threat to proper and safe indoor cycling. 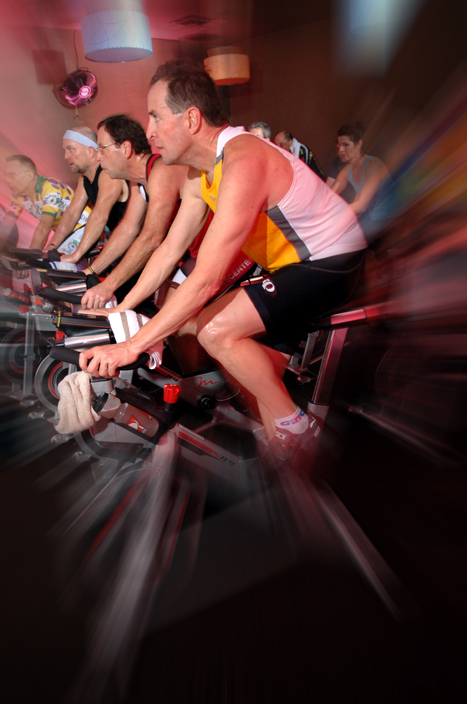 You know how you can get really hot in a Spinning® or Indoor Cycling class because you are working hard? You know how Spinning® and Indoor Cycling studios get really hot because a lot of people are working hard together in an enclosed space? Sometimes really, really hot, sometimes even steamy? And you know how smart facilities do everything possible to make sure there is good ventilation, lots of fans, and cool temperatures?